Apple has quietly released some hardware updates to their iPhone and iPad lineup, including a red color iPhone 7 and a lower-end iPad model. 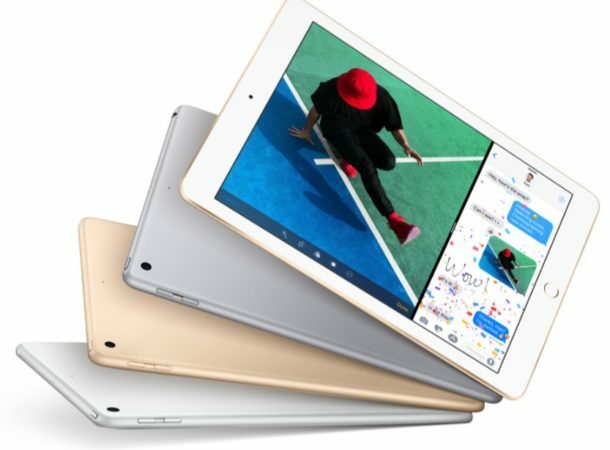 The new iPad is an updated 9.7″ screen model and aims to be the new entry-level iPad in the product lineup. Officially labeled “iPad (5th generation)”, it features an A9 processor, and is slightly heavier and thicker than the iPad Air 2 it replaced. Unlike the 9.7″ iPad Pro, the 9.7″ iPad 5th generation model does not support the Apple Pencil or Smart Keyboard, but is available at a lower price point of $329 for 32GB and $429 for 128GB capacity. 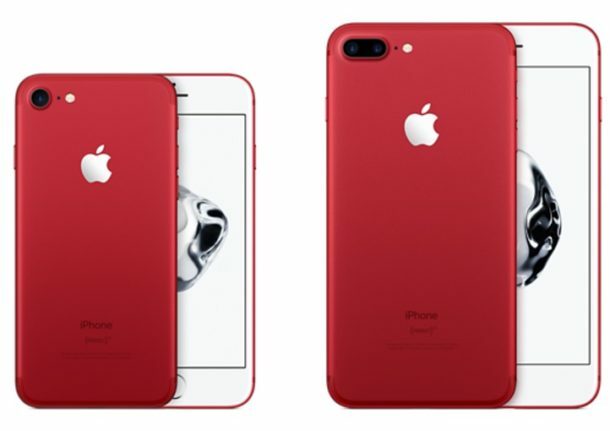 The red iPhone 7 and iPhone 7 Plus are special edition “(PRODUCT) RED” models, and aside from the pleasant color and higher price – a portion of the cost goes to the PRODUCT RED HIV/AIDS fund – the devices are otherwise the same as the existing model iPhone 7 and iPhone 7 Plus models. The (PRODUCT)RED version of iPhone 7 starts at $749, and the RED iPhone 7 Plus starts at $869. Additionally, the iPhone SE got a storage bump to 32GB and 128GB capacities for $399 and $499 respectively, and the iPad Mini 4 is now only available as a 128GB model for $399. Separately, Apple also released some new Apple Watch bands in a variety of colors and color combinations, and various new color options for official Apple iPhone cases. No Mac updates? That is disappointing. Every time they do a hardware update the Apple product lineup gets more confusing. Remember when Steve Jobs came in and he cut all the products down to 4 main categories, with upgrade options for each, and that was it? That was easy to understand. Now you have Ipad 5th generation which is better than iPad Air 2 but it looks the same as iPad Pro but you can’t use the iPad Pro features like Apple Pencil or a keyboard which are additional expenses anyway. Clear as mud. I do like the red color iPhone though I wish you could get it in a black bezel screen, and for the same price as the normal iPhone. Apple has huge margins, they can contribute some percent of profits to social causes without passing that onto the customer can’t they? Apple does contribute to social causes. They create products that Apple fanboys can purchase. This causes the fanboys’ endorphin levels to rise thereby making them happy. Of course happiness is not permanent, so they will have to purchase a new Apple product every so often to keep their endorphin levels elevated. However, all fanboys want Steve back, i’m losing my endorphins instantly for years now, and a red iphone is not gonna help here.